The aquatic park of the camping Saint Louis is made up of 4 different areas: a 300 m² artificial lagoon, a 160 m² fun paddling pool, so that the little ones can also enjoy having fun in the water in total safety, a 70 m² covered and heated pool for doing a bit of swimming without needing to worry about the weather, and 3 waterslides. Children love it! With this aquatic park, the whole family will have a fantastic time! The Mediterranean with its fine sand beaches, the atmosphere of the Côte d’Azur and more. Who could resist? 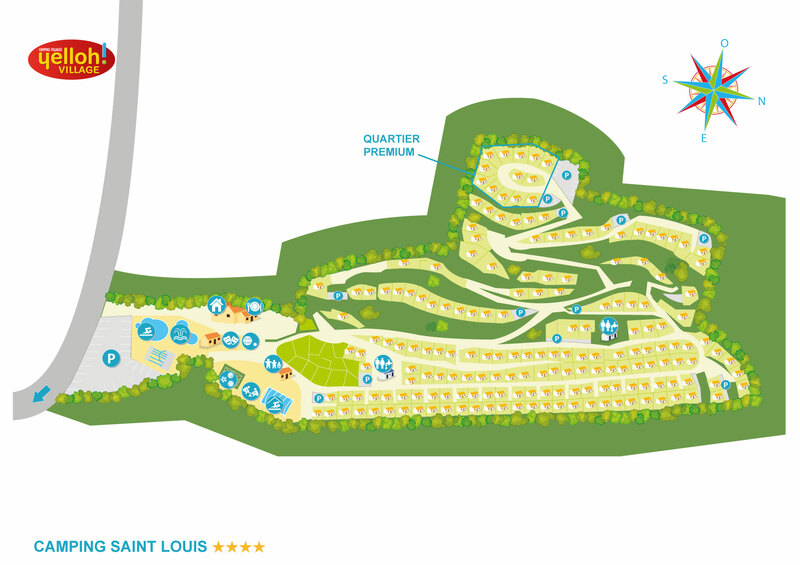 The camping Saint Louis, which lies just 5 km from the beach at Cannes, will mean you can enjoy the water with the whole family, splash about in the waves, build sandcastles or relax in the sunshine! And if rivers are more your thing, that's no problem: the campsite has just what's needed! Just 800 m from your accommodation you'll find the River Siagne.